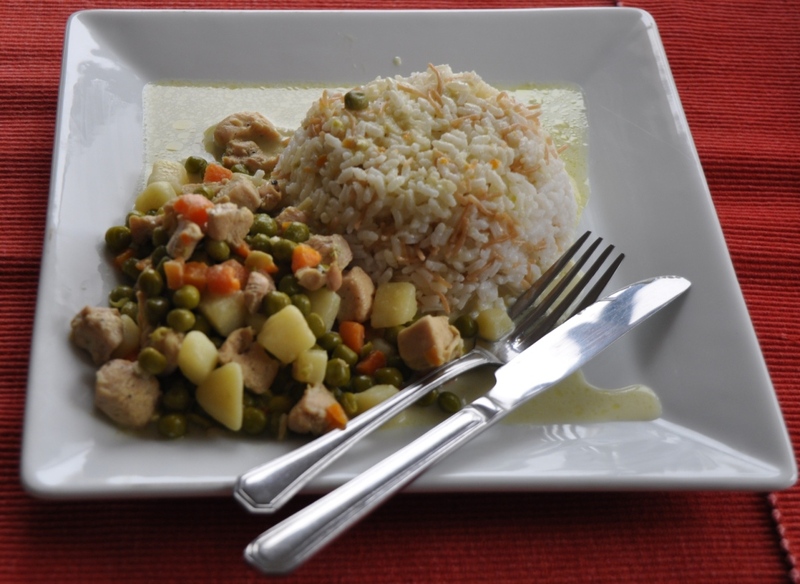 Coconut Chicken is mixture between Indian and Arabic food. It is a dish that brings the exotic flavors of Indian food from coconut milk and curry but toned down in terms of spiciness. My kids love coconut chicken! For my youngest, coconut chicken is one of the limited options available that tempt her to eat green peas. Many times she will have not only a second, but a third serving of coconut chicken! Coconut chicken is very fast and easy to make; but take care, it also disappears as fast. This version uses chicken breast but you can also prepare coconut shrimps using the same recipe but substituting shrimps for chicken. Season with the black pepper and 1/2 teaspoon of salt. Set aside. Heat the oil, add the ginger, garlic, potatoes and the curry powder. Mix well and sauté for a few minutes. Add the chicken and mix well. Keep turning until the chicken is no longer pink. You know the chicken is ready when you cut in the middle and it is all one color with no traces of raw chicken meat. Add the peas and carrots, turn for few minutes then add the 2 cups water and the remainder of the salt. When it boils, reduce heat, cover and simmer for about 20 minutes. Add the coconut milk and simmer, uncovered, for another 10 minutes until sauce thickens a bit. Taste to see if additional salt is required as the amount can depend on the variety of coconut milk you are using. Serve with rice. When served you can sprinkle with ground black pepper. For a heavier version of coconut chicken, use 2 cans of coconut milk and a bit more curry, but beware it is quite heavy! 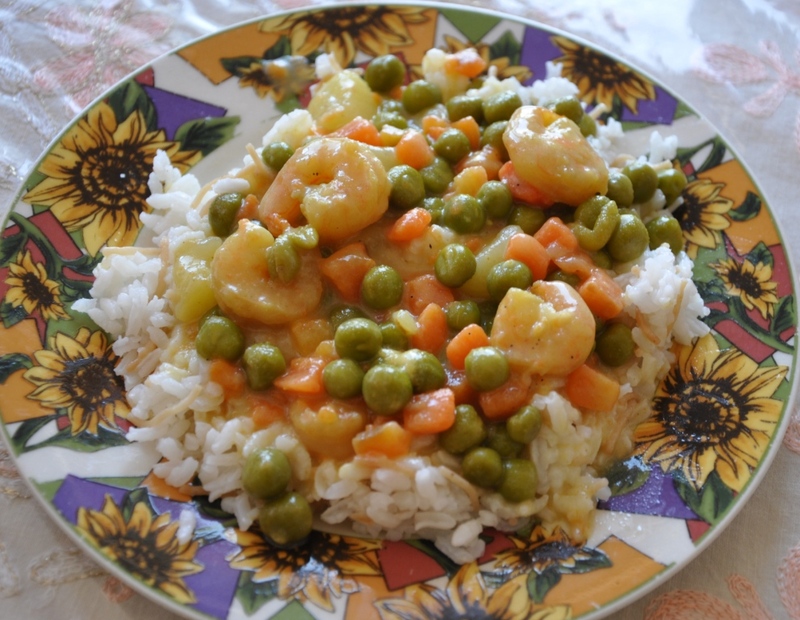 You can prepare this recipe with shrimps, for a lovely coconut shrimp dish. Hope you enjoyed today's easy recipe: Coconut Chicken. Bon appetite. Do you enjoy curried food?